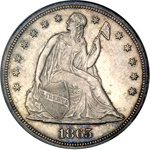 The Civil War was not only a human disaster of unparalleled proportions in the history of the United States to that time, it was a numismatic disaster as well. As in other times of uncertainty throughout our nation's history, people turned to hoarding currency for worse times that were anticipated to come. By 'currency' we mean gold and silver, which began disappearing from circulation in December 1861, when New York banks suspended so-called 'specie payments,' or payouts in silver coin for gold or paper currency. 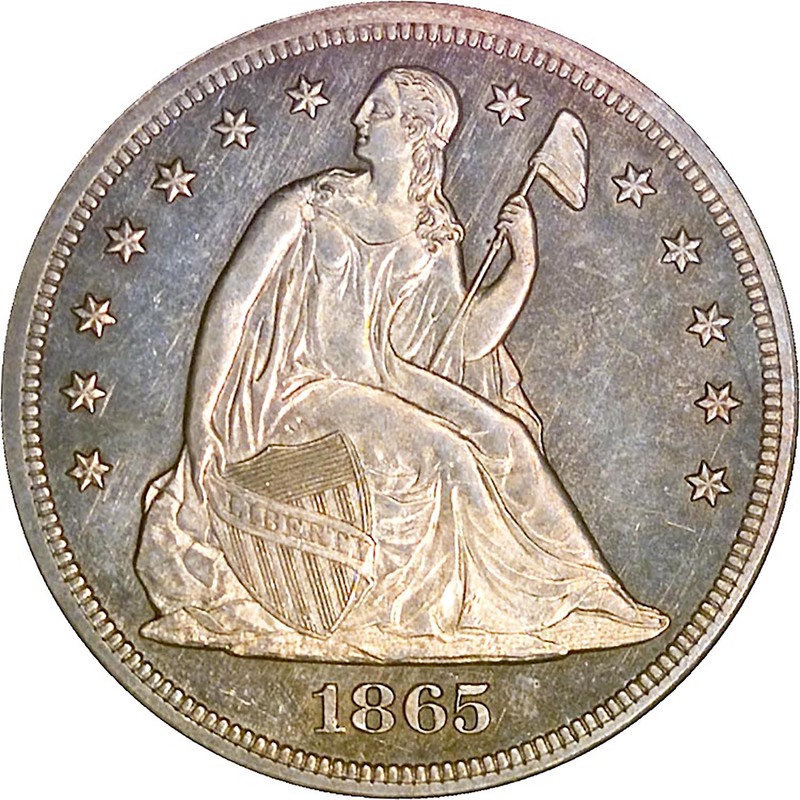 By the summer of 1862 all regular-issue U.S. coinage (and any precious-metal foreign coins as well) had disappeared from circulated, even Indian cents. Merchants turned to the production of patriotic Civil War tokens and 'store cards' to try to conduct business, to which hated paper currency and scrip provided a meager supplement. Silver coin production at the Mint declined drastically during the war years, and whatever silver coin was produced was promptly either tucked away or exported. 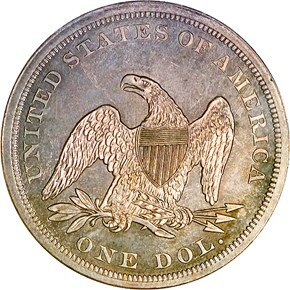 Bowers' Silver Dollar Encyclopedia maintains that most of the 1865 Seated dollar issue was exported to Central and South America. 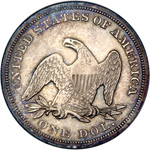 Regardless of the precise disposition of the coins nearly 150 years ago, today there is incontrovertible evidence that the issue is quite rare in Mint State grades. 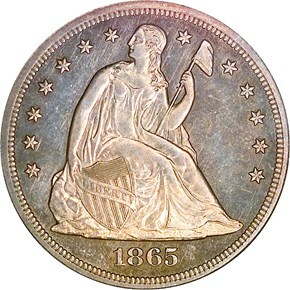 Both NGC and PCGS have each certified a couple of dozen Uncirculated pieces, but nearly all of them are MS64 or below.